Witness the horror on original 35mm print! "Pet Sematary", "CHUD", "CHUD II : Bud The Chud", "Creepshow 2", "The Manson Massacre", "King Kong", "Terror Vision" & "The Phantom Of The Paradise" all on rare original 35mm. 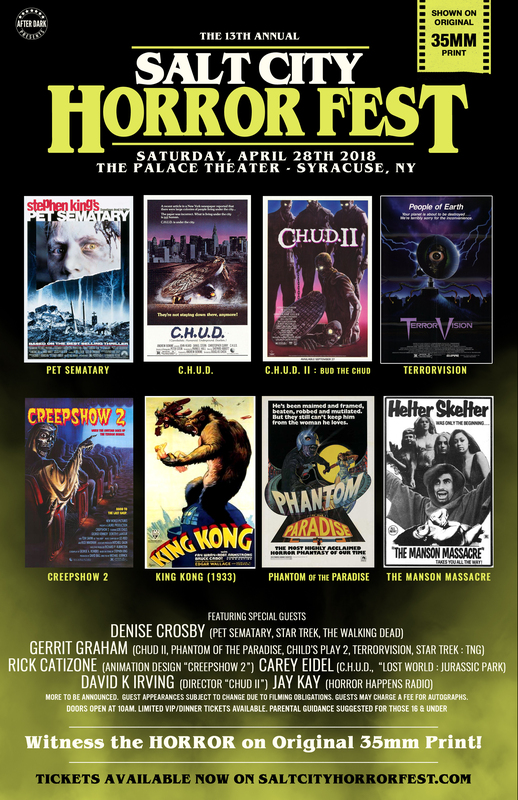 Plus special guests Denise Crosby (Pet Sematary, Star Trek, The Walking Dead), Gerrit Graham (Phantom Of The Paradise, Child's Play 2, CHUD II, Star Trek) and more!